Finding profitable investment properties is a challenge, perhaps more so now than ever. There are several steps involved in locating and vetting available investment properties. By the end of this article you should have the tools necessary to start locating properties to consider purchasing. Understanding ROI is a pre-requisite for Real Estate Investing. Put simply it’s annual profit / total investment. Annual profit is usually calculated as income minus ongoing expenses i.e. interest, taxes, maintenance and insurance. Total Initial Investment is usually calculated as purchase price plus initial renovations. (If you’re spending cash, consider plugging in the current mortgage interest rate to determine ROI since that is about what you are forgoing on another potential investment by choosing to invest your money in this way). This ROI number tells you what your overall return on your investment dollar is. If you return is in the 1-5% range, you can probably find a better investment in something more secure, like a CD, Mortgage REIT, Mutual Fund, Annuity, etc. We are looking for an ROI in the 10-15% range, but the higher the better. Incidentally, as mortgage rates in general rise, our ROI must rise as well in order for a property to provide a better return than other “simpler” investments. The first thing you need to determine is where you will consider buying. Will you only buy a home in your town, maybe within an hours drive, or will you look all over the country, or potentially outside the country? There are pros and cons to both. The map above shows which areas of the country will generate the highest rent dollar per purchase price dollar. (If you are looking to flip a house this metric is much less relevant, though it should be considered since a downturn in the market could potentially lead you to consider renting for a time) As you can see, because housing prices are so depressed in areas like Detroit, if you are daring enough to buy there, you will see a much higher rent relative to your investment. The same was true of Las Vegas in the 2010-2011 timeframe. If you are willing to consider buying outside of your immediate area, you may see a better return, although some of the return will likely be eaten up by a property manager (more on that later). If you are looking at an area with a generally lower rent per investment dollar (i.e. Silicon Valley area) you may want to consider looking at a flip as opposed to a rent and hold model. Now that you’ve decided on the geographic area in which you are comfortable buying an investment property, let’s consider some other factors affecting the desirability and therefore rent-ability and resale-ability of the property. The primary concerns for most renters and buyers are Schools, Crime, and Proximity to their work. You may be able to find a property that on first inspection appears to have a great ROI, but is it in a bad school district? 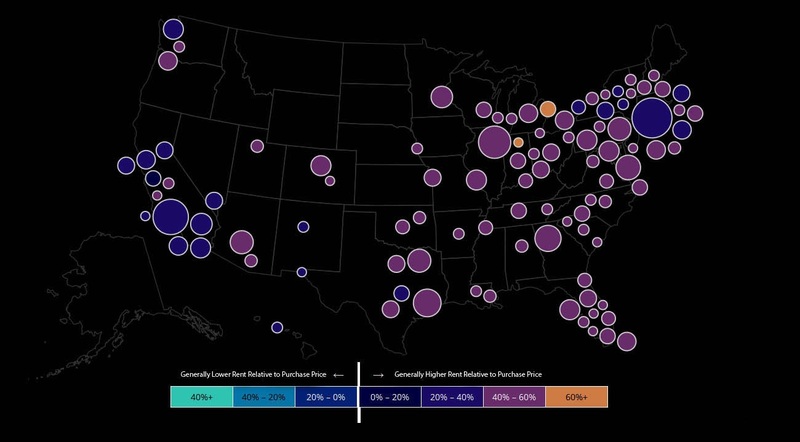 Are no jobs relatively nearby? Is it in a high crime area? If you answered yes to any of the above you may have a very hard time renting it or selling it which leads to lower income. Now, there are several resources out there for determining the optimal places to buy, but they will require some research on your part. The first place is Greatschools.org, there you will find ratings on all the public schools around the country. Most renters are sending their children to public schools. Walkscore.com is a great resource to tell you if the property has desirable businesses nearby such as coffee shops, libraries, etc. Also, you’ll want to check with your local town police department for information about crime. Don’t get overly alarmed with petty break-ins, they could just be teenagers that will move away in a few years, but if there is regular crime in the area, especially violent crime, look elsewhere. Now it’s time to consider who will handle the day to day responsibility of managing the property. If you live near the property and want to keep your ROI as high as possible you should probably manage it yourself. That being said, be careful, there are laws that you need to understand fully before becoming a landlord. Do you know how to account for and report your tenant security deposits? Do you know how to screen tenants (more on this later). Do you know the Federal Laws regarding disclosures of Lead Paint and how they pertain to tenants with children under 7 years of age? Did you know that if your property is found to have lead paint and you have children under 7 living in the property you are required to de-lead, whether or not you can afford it. Consider taking a class on property management. It could save you a lot of legal headaches. If you purchase a property far away and don’t know anyone in the area that could help you, you’ll probably need to hire a property management company. They generally charge 10% of your rent each month and sometimes charge a fee up front for finding the tenant in the first place. It’s great peace of mind to know that someone in the area is keeping an eye on your property for you and is there to help if anything comes up, that being said, finding a good property management company is a battle all its own. Seek out reviews on places like Yelp, Google and the Better Business Bureau in researching property managers. If they have negative reviews weigh, consider them carefully. This is where you will save or lose the most money in many cases. Finding good tenants can mean years of passive income with no problems, or it can mean constant headaches and expenses for damages and vacancy periods. The most important things to know here is, absolutely, without a doubt, you must run a credit check on each applicant and check references. I go one step farther and check the names of references against public records to determine that the previous landlords and not just friends of the tenants posing as past landlords. That being said, bad credit does not always a bad tenant make. I have had plenty of good tenants with bad credit, even one with an eviction filed against her, turns out she paid her rent 7 days late and the management company automatically files eviction after 5 days. They cancelled the eviction. Still others have bad divorces that negatively affect their credit. If they have evictions, look carefully into them, you should probably not rent to them. If they have a foreclosure, be wary. However, if they just have a few late credit card bills but seem to have a good history of paying their rent, they might be worth the risk. If they seem like an increased risk you can always ask for a bigger security deposit or first, last and security. If they know they have bad credit chances are they’ve been turned down elsewhere and will pay a little more to lock down a place. The other issue which most landlords struggle with is pets. So many tenants have them and no landlord wants them tearing up their home. A good property manager friend once told me that almost all of her good tenants have pets, but so did her worst. The trick is to avoid the wrong pets like vicious breeds of dogs, male cats (they spray) and puppies (they chew on things and need to be trained not to defecate in the house). Also, always charge a non-refundable pet fee. The last thing to consider before buying an investment property is, does it fit with your long term goals. Just because a property is a great deal doesn’t mean it’s a good fit for you. Are you absolutely dead set against being a landlord but have found a great deal in an area that’s really hard to sell a home and would sit on the market for a long time? Or maybe a great deal on a property in a bad school district and you want to rent it quickly? Consider carefully what the long term implications of each purchase could be in the worst case scenario. There are so many places to find good investment properties. First of all, check the classified section of your local newspaper. In most states, banks are required to post upcoming foreclosures in the classifieds several weeks before the sale. You could bid at the auction, or you could approach the owner and offer to buy the home before it’s foreclosed. Also, these auctions are typically handled by attorneys who often post all their upcoming auctions on their websites. Compile a list of these attorney websites. Another source is Realtors. Realtors love to work with clients that give them repeat business. One word of advice though, don’t talk to a Realtor until you’re really ready to make a purchase. It’s ok to have strict criteria on the type and price of property, but be ready to buy when they find you something, but they absolutely hate it when they find you the perfect property and you still can’t pull the trigger. Be loyal to them and they will bring you the best deals they find FIRST! Also, for those that aren’t shy, going door to door and making cold calls works. See a distressed property driving through a neighborhood? Stop and knock on the door, they may be open to selling. Warning, most of these people will not want to talk to you. Have a strong ice breaker so they see you as an equal not a “solicitor”. That’s my overview of The Investment Property Buying Process. There’s a lot to take in and many pitfalls so if you know anyone who’s done it before, try to learn from them. That being said, it’s a tough business but it has great long term rewards, if you’ve been thinking about it, give it a try. I wanted to begin by introducing myself. My name is Jo Sevalim and I created this blog to help people getting started in Residential Real Estate and Real Estate Investing. I have been an Investor and Broker for about 25 years now, and have had some great success utilizing several strategies, but I've noticed a lot of misinformation out there. It's important to note that I did not start this blog to advertise my business. I work by referral and the past clients that I've worked with keep me very busy by referring me their friends. I really just want to get good helpful information out there to the other Agents and Investors struggling to grow their businesses. My Mother always told me "it's who you know that matters, not what you know." Ironic given how important my going to college was to her. But, it turns out she was mostly right. Having worked in several different markets both in the South and the North East, I can tell you that connections are key. The best deals, the best clients, the best properties will be found through people you know or meet, not random phone calls form an ad in the paper. By the way, speaking of ads in the newspaper, please don't ever spend your advertising dollars on newspaper ads. Newspapers, sadly, are going the way of the corded telephone. An astonishingly low percentage of consumers actually utilize the newspaper as a tool in their home search or quest to sell their home, and the ad space doesn't seem to have gotten any cheaper. We'll delve more into marketing and advertising later. 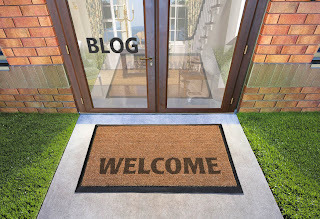 The goal with this blog will be to bring you useful information on a regular basis that will help you locate clients and/or properties to target in your business, and develop relationships with clients that will open the flood gates to more business in the future. I'll also discuss the most pertinent topics in the market today such as changes in interest rates and how they affect the way buyers sellers and investors act. Another goal of mine will be to point to several other resources on the internet that will help in your search for success in the Real Estate business and there are several sites that I've bookmarked over the years that I think you'll find helpful. I will link to them as they are pertinent to the topics of each post. I find that one of the biggest challenges for self-employed people, like myself, is to find motivation on a regular basis. Motivation waxes and wanes for most people, and it'll be my goal to provide content that will help motivate you on a regular basis. Well, that's what to expect. 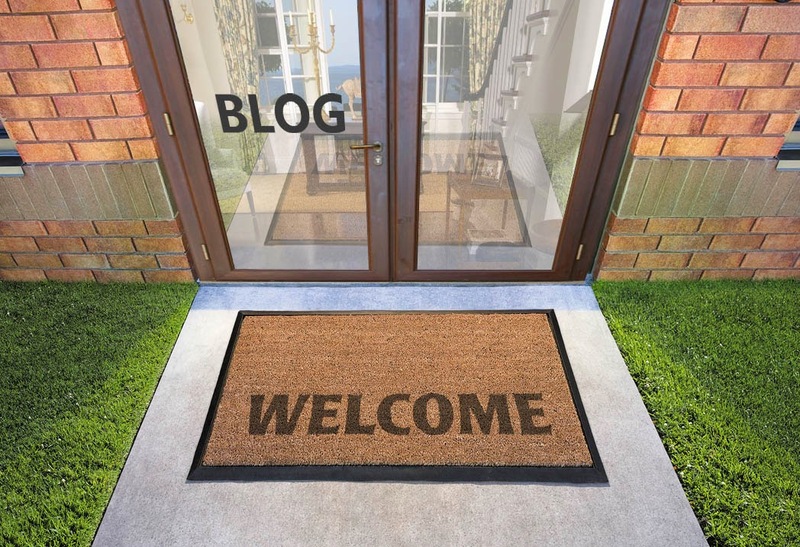 Thanks for taking the time to visit my Real Estate blog and I hope you find something here that helps you enhance your motivation or grow your business one step at a time.